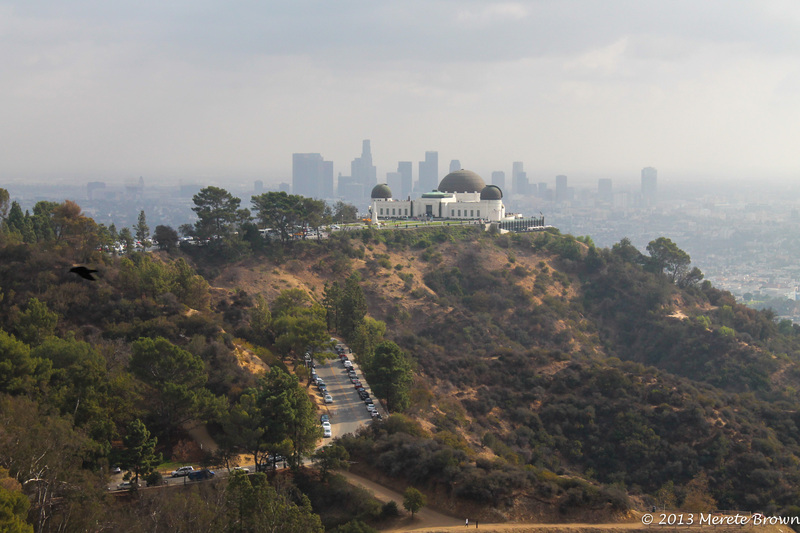 Los Angeles, California: the land of stars, traffic and smog… But really, so much more! 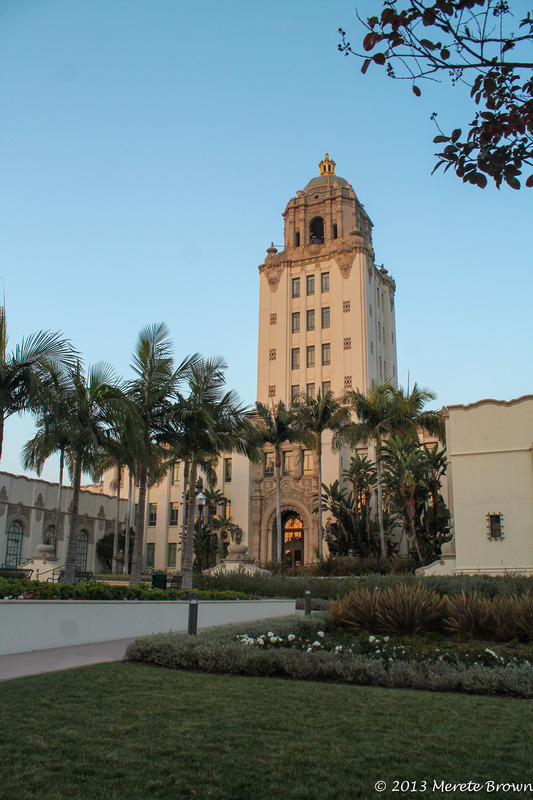 As the second largest city in the United States, Los Angeles represents a genuine melting pot of people, culture and socioeconomic backgrounds. The city’s energy radiates all hours of the day and night. 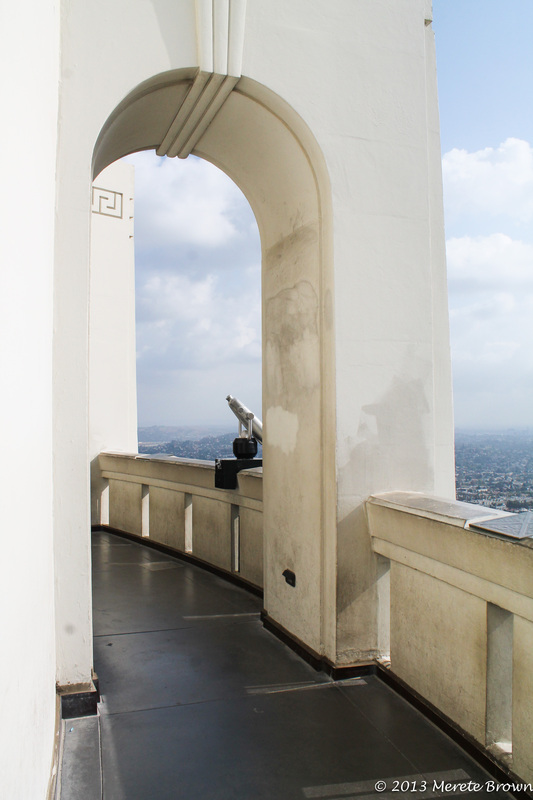 It’s hard to not fall in love with the City of Angels due to its close proximity to the beach, it’s array of artistic and cultural museums, and endless sporting and entertainment events. 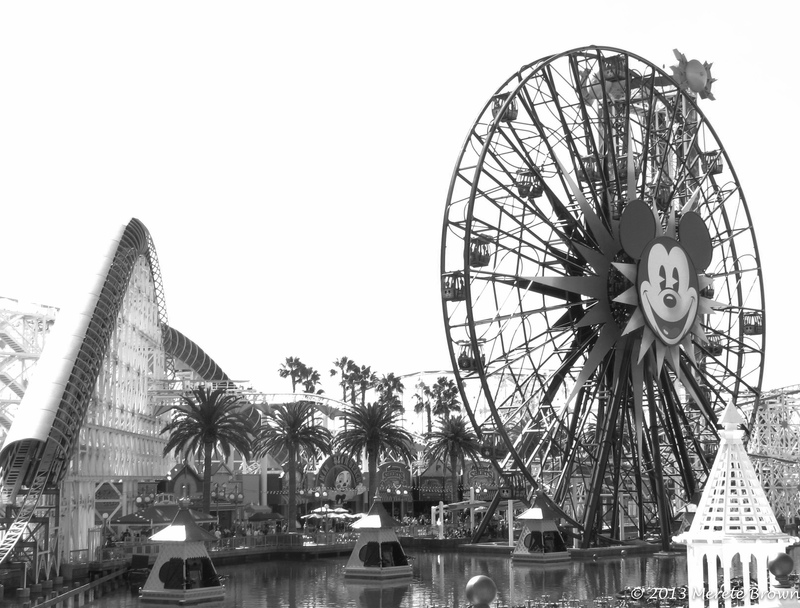 Of course, it’s also impossible to forget about major attractions such as Hollywood and Disneyland. But one thing Los Angeles is definitely not known for is great air quality. It’s a very large city, which results in a lot of air pollution heightened by stagnant air trapped in the valley. 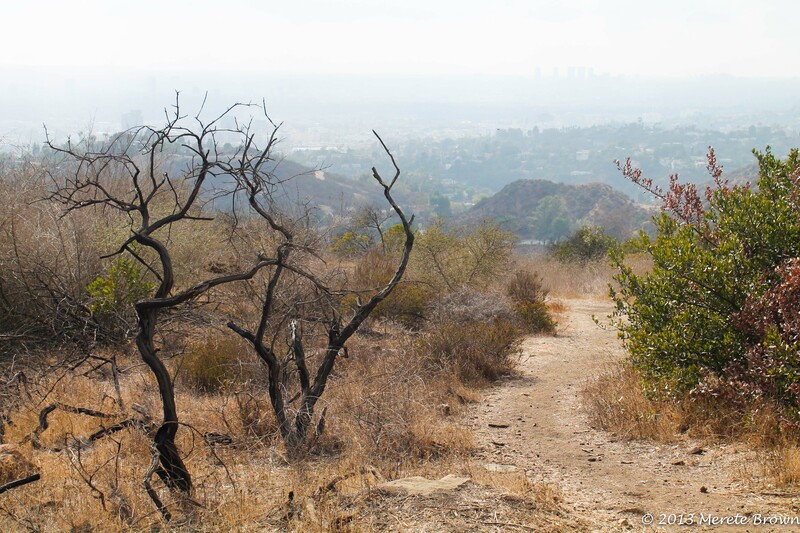 When traveling to LA, most people probably don’t think about finding the best place to hike or somewhere to enjoy outdoor recreational activities. However, after searching for options on how to escape to higher ground and the smog, I found just the spot. 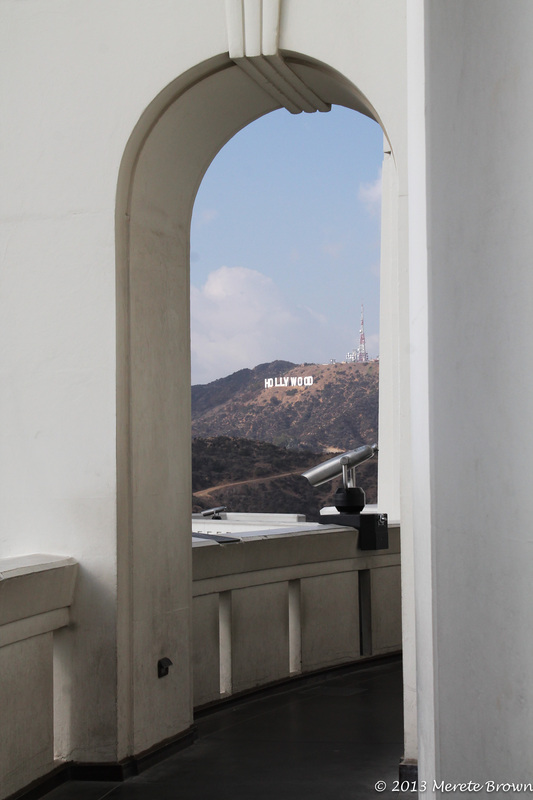 I remembered from a prior trip to Los Angeles, although it was at night, how special it was to visit Griffith Observatory. The observatory, perched on a mountain overlooking Los Angeles, sat staring up at the sky with the city lights gleaming in the distance. 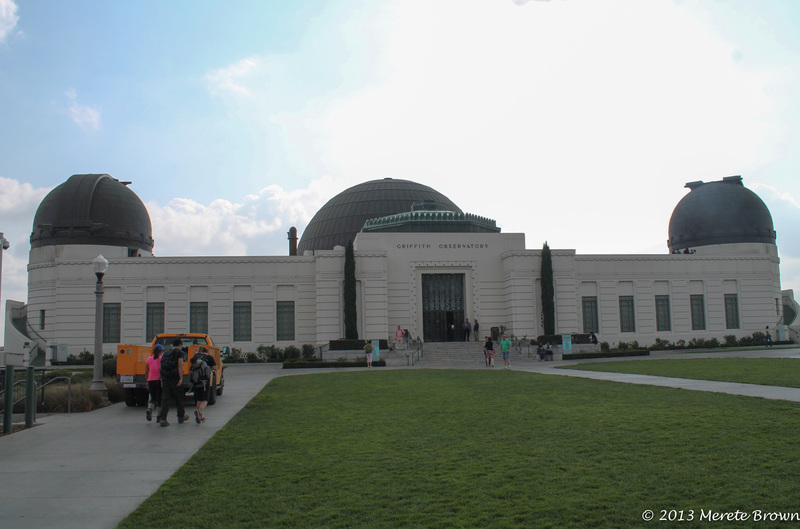 I knew I wanted to return to the observatory during the day to explore some more. As I pulled up, bus loads of kids were hanging out on the grounds. 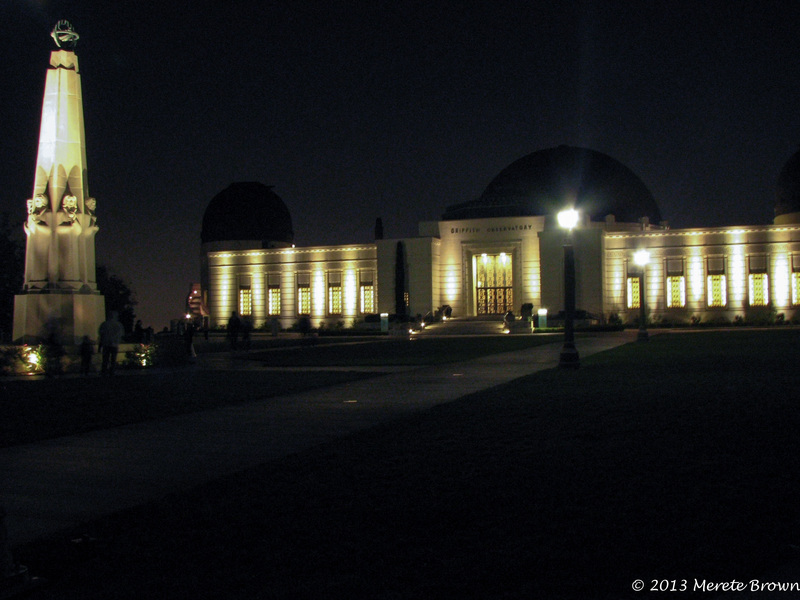 It was just another day at the observatory. 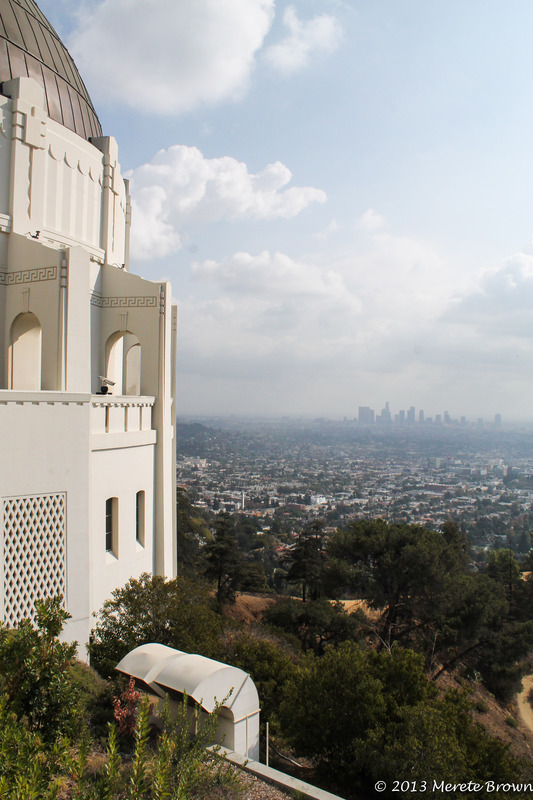 Griffith Observatory was dedicated and opened to the public in 1935, years after the death of Griffith J. Griffith. Griffith J. Griffith was a wealthy mining spectator, who purchased the remaining portion of the Rancho Los Felis estate in 1882. 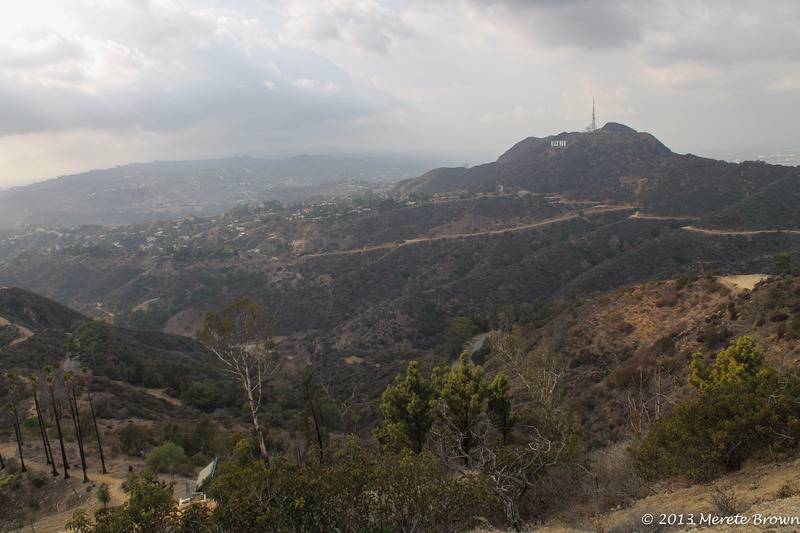 Years later, Griffith decided he wanted to establish a grand park to improve the city, so he donated about 3,000 acres to the City of Los Angeles to create Griffith Park. 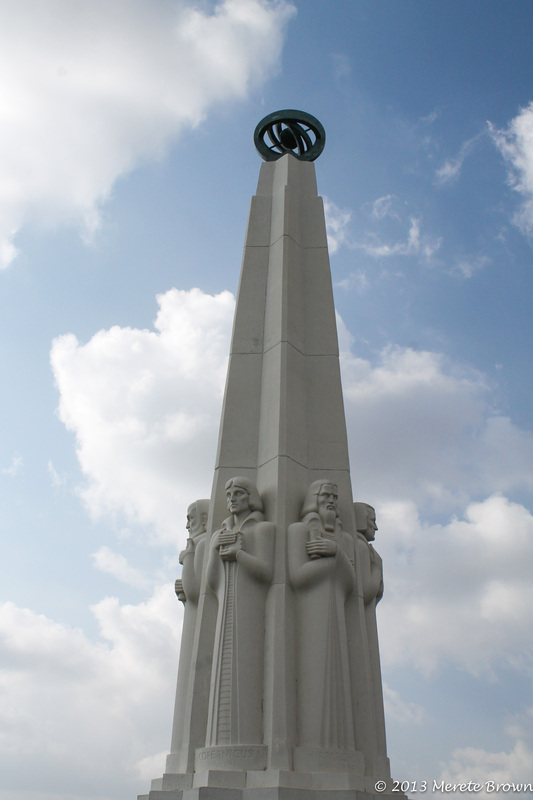 After learning about astronomy, Griffith J. Griffith also dreamed of constructing an observatory to reach the skies. 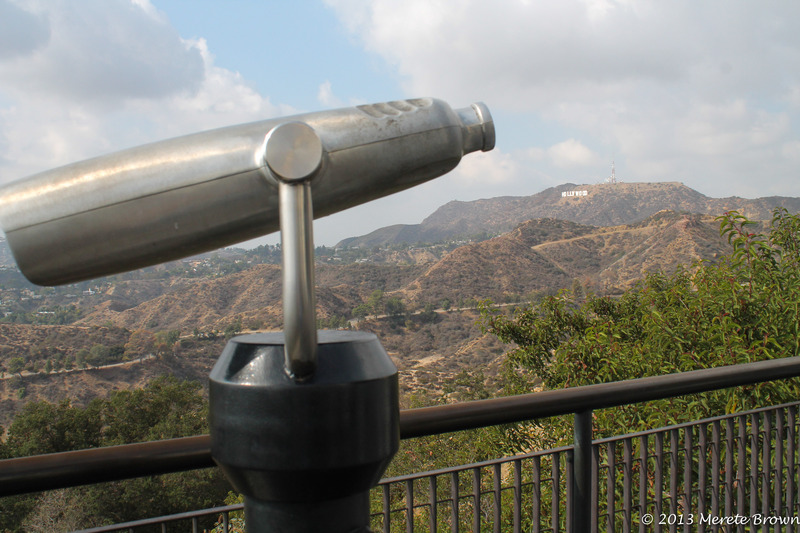 He gifted $100,000 to the city to build the observatory on top of Mt. 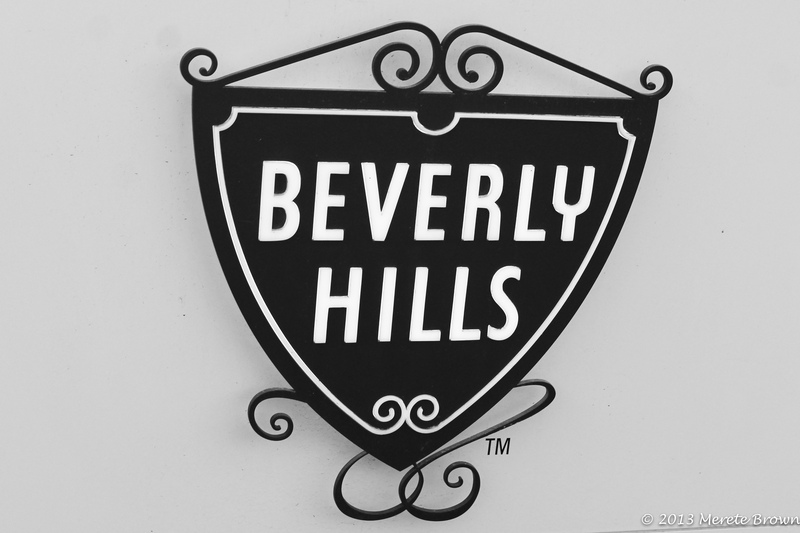 Hollywood. 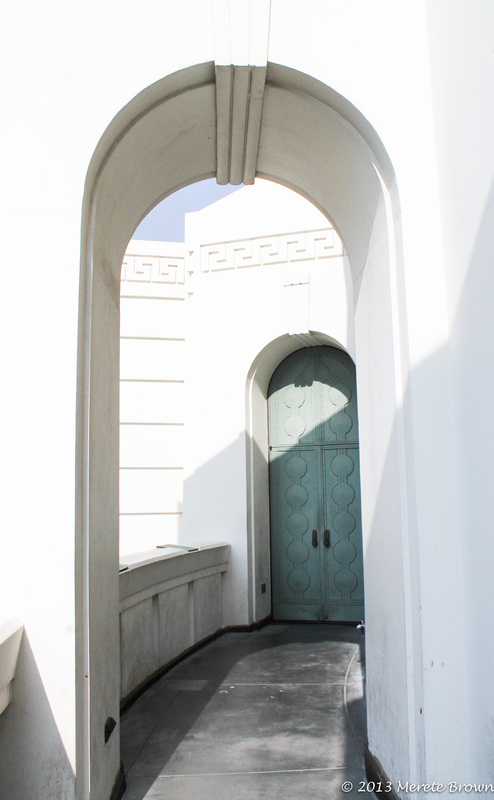 Although the observatory was not completed during Griffith’s lifetime, it remains an educational and inspirational place, free to the public to this day. 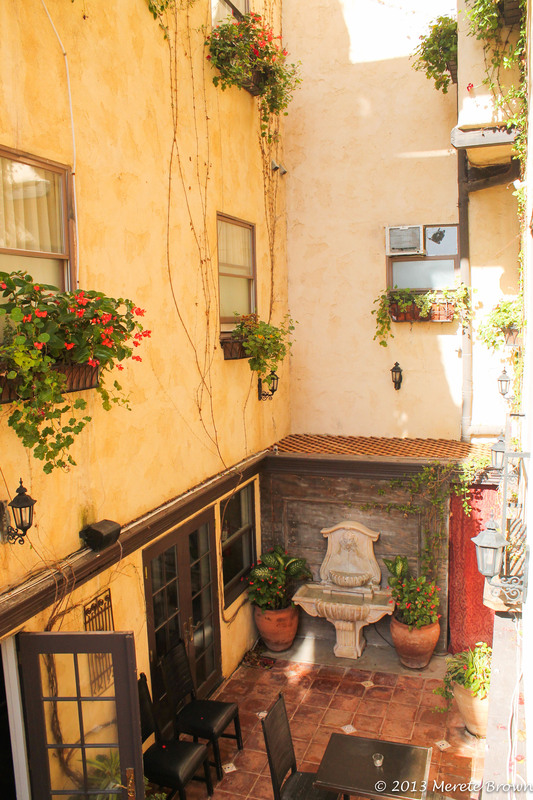 In addition to the neat astronomical and architectual features, it just happens to be a beautiful place to view the city from as well. 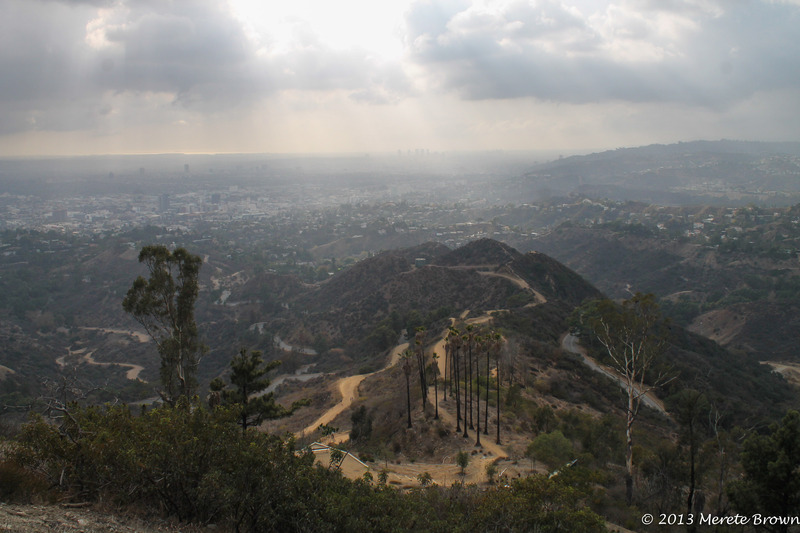 From the parking lot at Griffith Observatory, there’s also a trailhead that leads up to Mt. 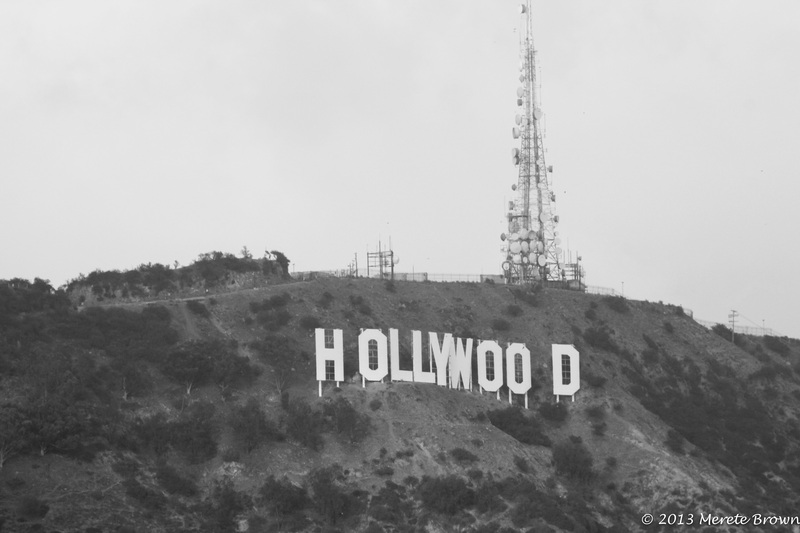 Hollywood. 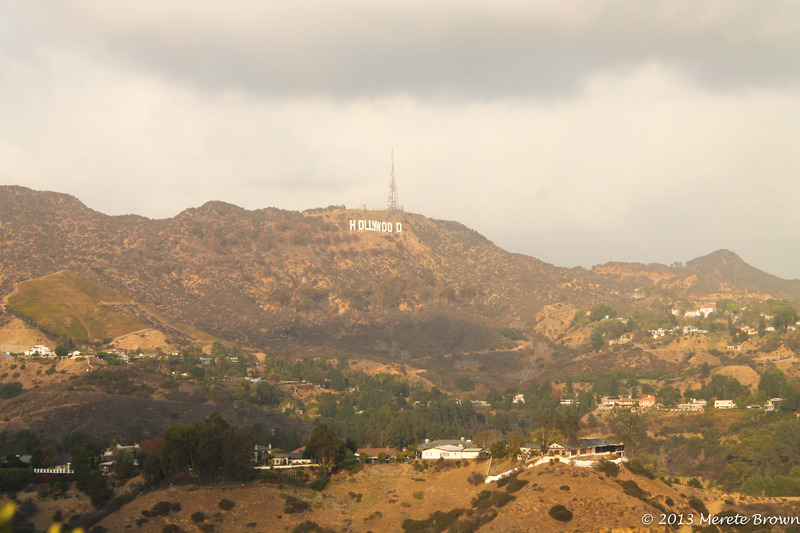 As I began the trek up the mountain to get a better view of the city and the Hollywood sign, LA was cast in soft light. 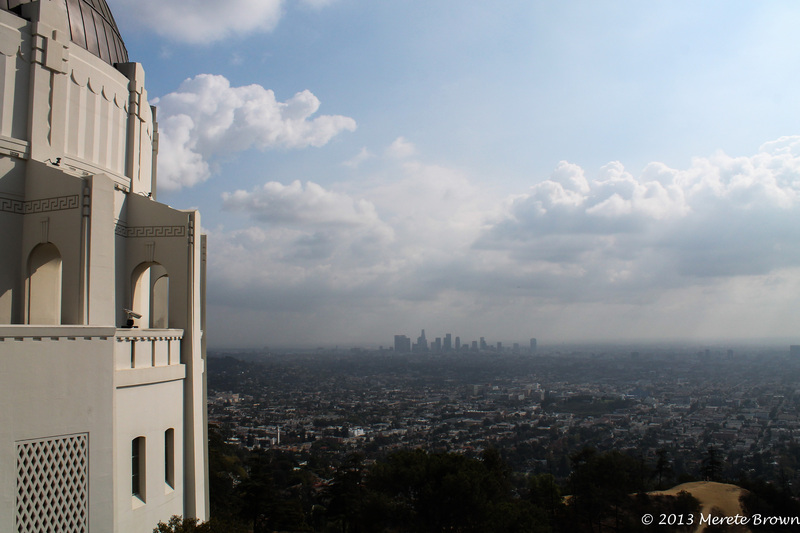 Although smog lingered in the distance, the sky was dotted with white puffy clouds. The sun streamed down between the clouds in rays. Runners and tourists passed by, traversing the many trails leading to the summit. After making my way back and forth up each switchback, I made it to the top. It was well worth the hike. The view was fantastic. Even through urban sprawl spread out for miles and miles, I felt free from the hustle and bustle of such a large city. It was a great feeling to be above it all, peering down to the urban environment from a natural place. When visiting different cities, you can easily ride an elevator to the top of a skyscraper to get a panoramic view, but it never feels like truly escaping. Although climbing to the top of say the Eiffel Tower in Paris is an awesome experience, I always feel like I’m still in the midst of it all. Not this time. Although I felt close to the city, it sat clearly off in the distance in a separate dimension. 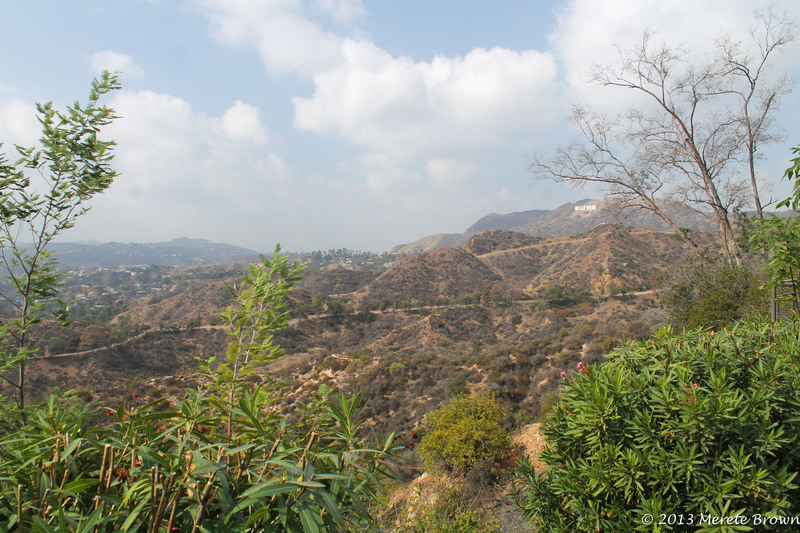 After making my way back down the mountain, I decided to cruise through some of the famous streets, such as Rodeo Drive in Beverly Hills and up and down Mulholland Drive to the Hollywood Bowl Overlook, before heading to the coast. 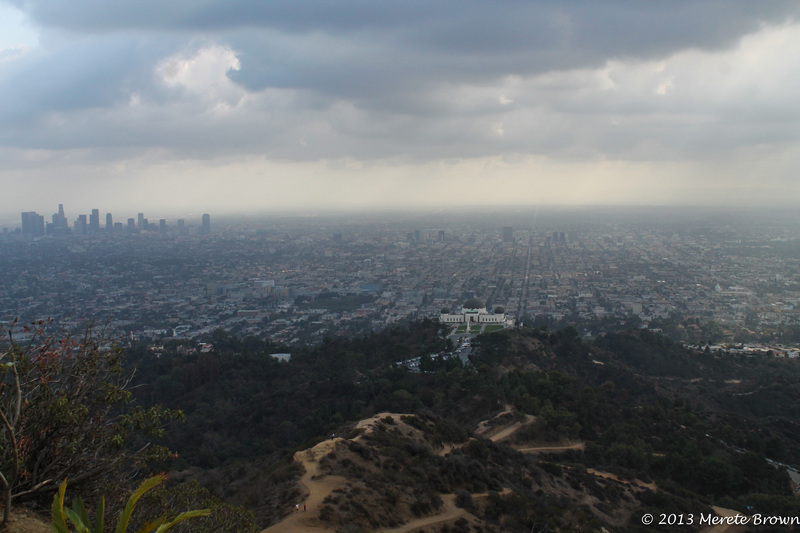 There’s also another popular hike called Runyon Canyon Loop at the top of Mulholland Drive that leads to great views as well, but unfortunately I was running short on time. A trip to the LA area would not be complete unless I made it to the Pacific Coast Highway. I decided to stay in Laguna Beach, but before heading south for the night, I caught an improv show called Undateable at Second City Hollywood. What an awesome performance! 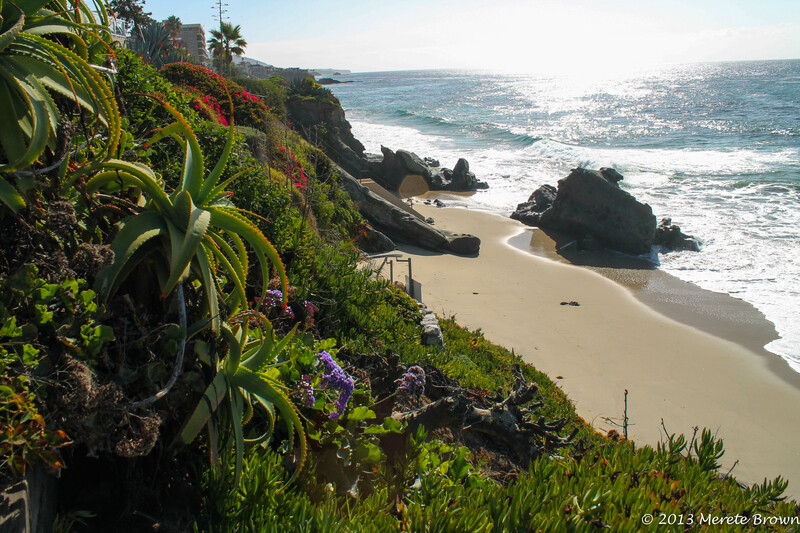 The next morning I walked down to the beach right behind the hotel in Laguna. There’s really nothing better than the Pacific Ocean. I will always miss the big blue no matter how many times I visit. 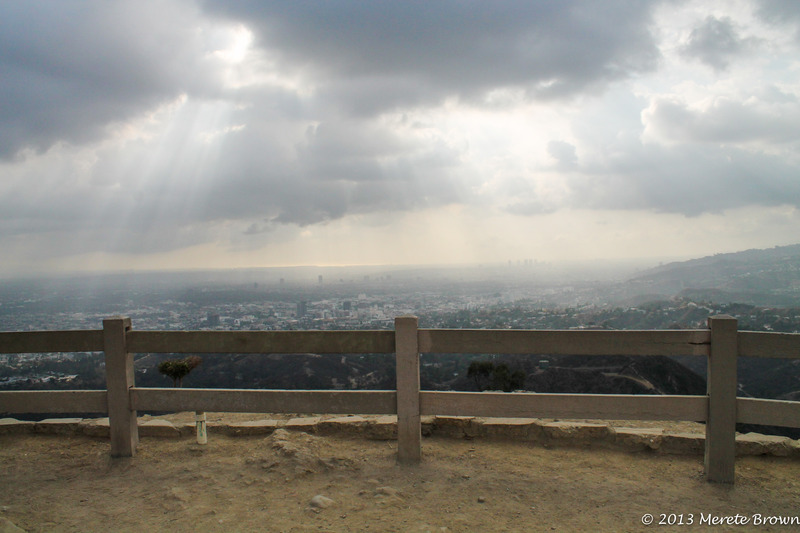 Los Angeles can be rough and hard around the edges at times, but there’s so many great things about it too. Sure, I got stuck in traffic and everybody moves at lightening speed every other time of the day, but there will always be trade-offs no matter where you are. 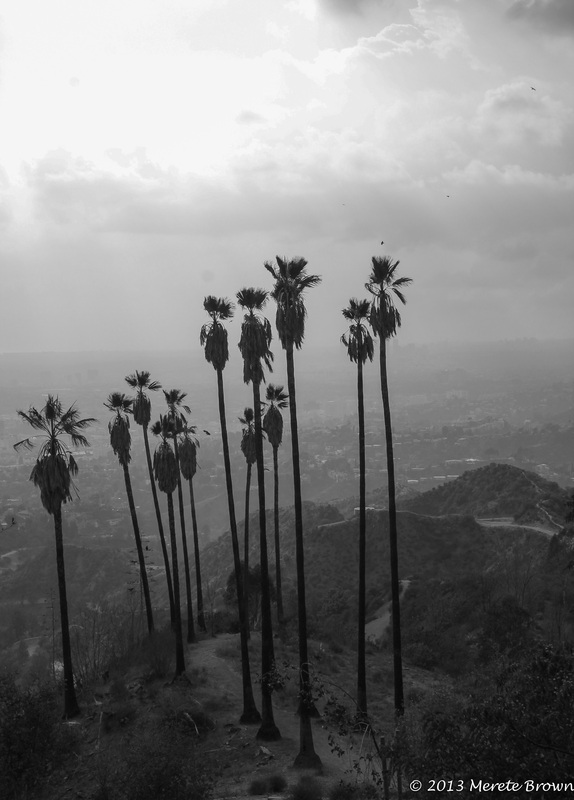 During this trip to LA, I really saw the city in a different light. 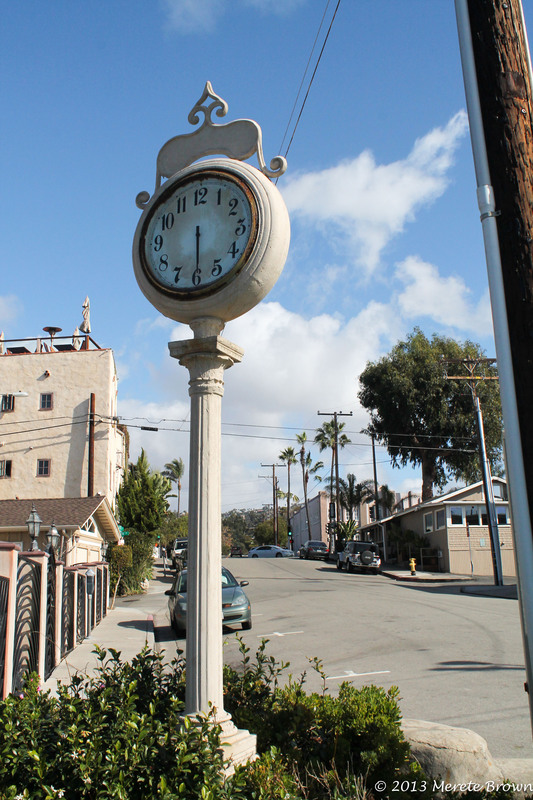 It was no longer just a smoggy, packed city on the coast, but rather a vibrant community where millions of people call home. There’s beauty even in the largest of cities. You just have to find it. For anybody who’s never tried an In-N-Out burger, it’s a must while in California as well! Also check out The Second City while in LA!